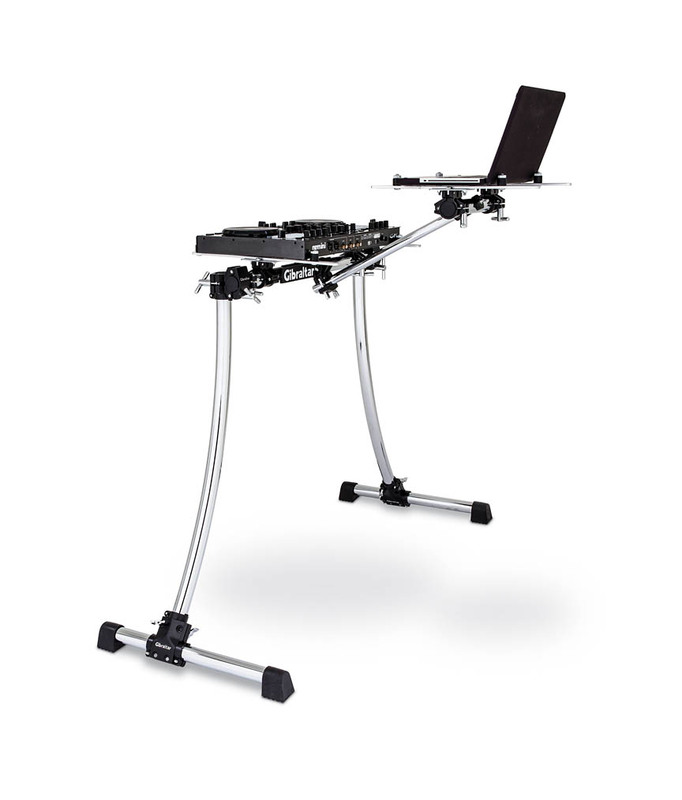 The sleek and sturdy Radius Workstation offers up maximum portability; style and versatility for the working DJ. 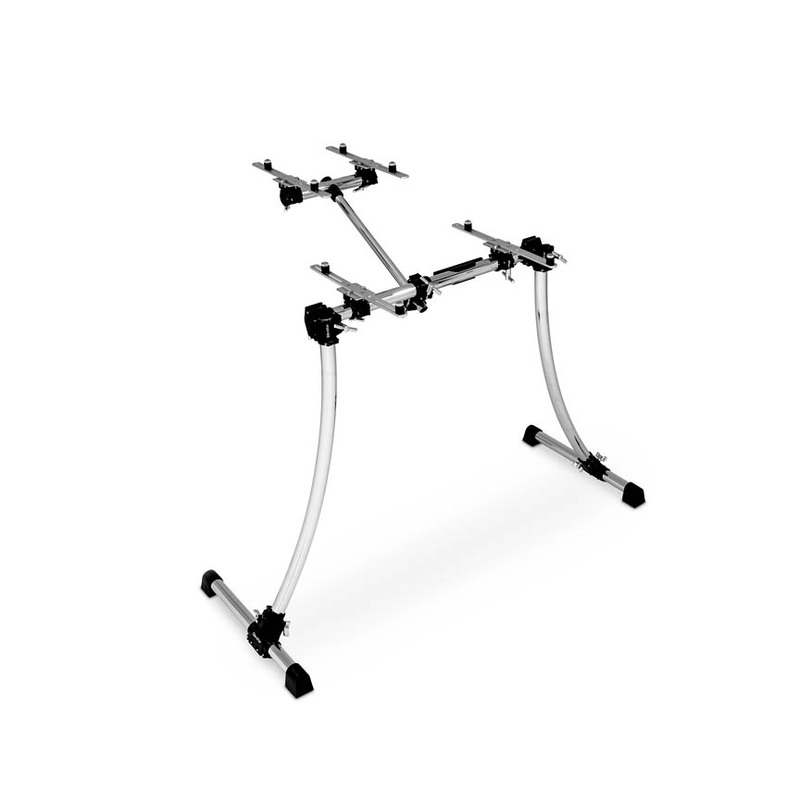 This sturdy; modern-looking stand replaces the traditional wobbly; stale; banquet table and enhances stage presence with lightweight; expandable; and customizable options. The Radius Workstation is a controller-based set up featuring a curvy; sleek design with chrome-plated steel tubing that breaks down easily for transport. Memory locks ensure precise positioning for every setup and 30-inch T-legs provide an incredibly stable base to keep your gear secure no matter how hard you rock the room. Measuring 38-inches in height; with a 30-inch straight cross bar; the Radius is a great solution for DJs that are on the go needing something lightweight when using a controller with a laptop.